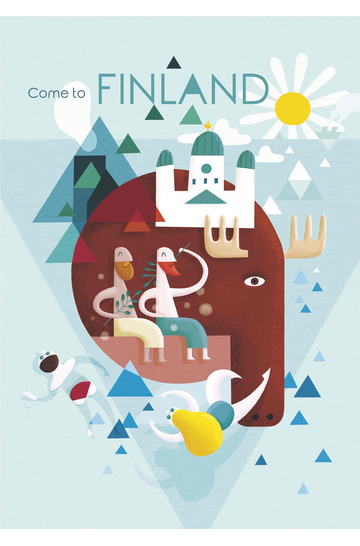 5th place: Finnish Travel Poster of the Year 2017! 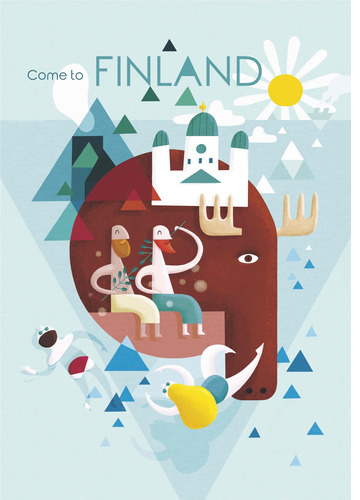 When I designed the poster I wanted to create a set of shapes and colors that represent different contrasts that you can find in Finland. Blue triangles representing the water, green triangles representing the forests, white triangles representing the snow and a big circle with red triangles representing the heat of the culture and the sauna. 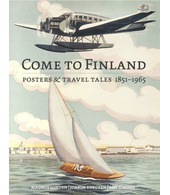 I also wanted to transmit joy and relaxation and show some Finnish icons such as the cathedral and the head of a moose. I made the sketch of the illustration by hand and finished it in Photoshop.